If I remember well, it was in the month of November, 2005. I was returning from Melbourne, Australia to Chennai, after an official trip to one of our clients place there. Though a busy one, the blue beaches, the scenic locations, the beautiful buildings and almost everything there, made that one week of stay in Australia - a wonderful life time experience. Just as I entered into the Melbourne Airport, I saw her for the first time. She was beautiful or should accept that she was something more than that! She looked like an Indian girl whose age should be somewhere around 20. She was struggling to carry her heavy luggages. It looked as if she was carrying all her furniture back to India. Few things happen involuntarily - especially when a young beautiful lady needs an help. I helped her move her luggage and then to keep them over the conveyor belt. She smiled and said, "Thank You!" and I replied "Welcome!" and with a smile, I left the place to get my boarding pass. Then it was inside the airplane, I was searching for my seat, and again to my surprise she was standing there right near my seat - this time struggling to push her big hand baggage inside the small upper loft, there. Again, involuntarily I helped her. "Hey... you... once again.. (with a smile) Thank You very much". The excitement in her mind was obvious all over her face. After keeping our baggage we got settled in our seats. Her seat was near to the window and mine next to that. "So... are you returning back to India? ", she started the conversation. "yeah... came here for a business visit. just a short visit. You?? ", I said. "yeah mine too was a short visit,. I am a model and came here for a calendar photo shoot", as she was saying this I was wondering how her luggage would have been if she had stayed for months. "oh just a short stay...!!! that's why you had so little bags", We laughed at this. then we introduced ourselves to each other. She spoke a lot about her modeling career, the ads she had done before, why she was traveling alone and lot more. Honestly, I knew nothing about the ads she had done before, but lied to her saying this was nice and that was wonderful. I have met few chatterboxes earlier in my life, but my God she was superior to all of them, in fact superior even if all of them were combined together. She was the non-stop chatterbox!!! "So whats your next goal, the Miss.World or the Miss.Universe ? ", I asked her. "Nope. Not that. I want to get into the film industry", she wanted to get there directly. All Miss Worlds and Universes did the same right!! "Can, you sit in this seat and give me your seat? ", I was surprised with this question from her. I thought everyone would like to sit near the window seat (though everything looks blue from the plane), but this crazy girl wanted to sit in the seat near the aisle. Before I could answer, she continued, "I am tired. If I sit there I can put my legs outside and sit comfortably". That made sense to me. We changed our seats. She sat a bit cross, putting her legs slightly out in the aisle and resting herself comfortably on my left shoulder. She had become a very good friend then, so I didn't tell her anything. Again she started her talks. This time she asked about my profession, my company, my family and another set of blah.. blah.. blah. I think, the talks about me wasn't so interesting to her, very soon there was silence all over. I looked at her. She was sleeping. All I said to myself was "God must be Great!!!" I liked that silence after the storm. Browsed through the in-flight magazine and after sometime, even I slept. I think, we were flying somewhere over the Singapore or Malaysia then, suddenly there was a small jerk on my left side. I think someone had ran over her legs and that woke her up. So did I. Only then, I think she realized that all this while she was comfortably sleeping on my shoulder. She adjusted herself and sat straight. "Did I bother you much?" she asked me as I was stretching my left arm. "Not really, you aren't so heavy when compared to your luggage". "Hey.. that's not too heavy. It has only few dresses that I bought here", with a small pause, she continued, "Hey did you go out for any shopping ??? oooooph... it was again back to one square. The non-stop chatterbox started again. It continued, continued and continued till we reached the Chennai Airport. Though she wasn't boring, but she was talking tooooooooo much. I really felt sorry for her family and friends. So finally, came the Chennai Airport. She had to take another flight to Bangalore which was her home town. We said bye to each other and left. Only on my way to home in the auto-rickshaw, I realized how badly I missed the presence of the chatterbox - a sweet chatterbox. Long flight trips are always boring, but she made this one an interesting one. We didn't contact each other after that. Years rolled by and I had almost forgotten about her. 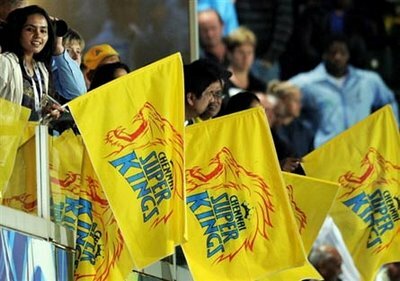 Last month, I was watching the IPL match between CSK and RCB in Chepauk Cricket Stadium, with my friends. Only then I noticed that. 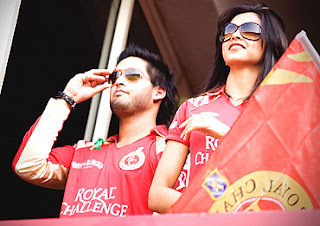 The cameramen were focusing on a young lady in RCB's red t-shirt and flagging the RCB flag. First I didn't realize her, but when her face was shown in close-up in that wide screen, I knew it was her. With excitement, I shouted, "Hey... she is a model. She is Deepika. I know her well!!!". My friends were starring at me, as if I told them India had got independence. "Yes she is Deepika. Ms. Deepika Padukone. She is not just a model, she is a very popular bollywood actress now and of course we all know her", my friend replied. She is a popular actress now!!! That sounded great to me. I don't watch many movies and I think, I had never watched an Hindi movie in the last decade. So it isn't a surprise that I didn't know that there was a popular actress called Deepika Padukone - the same young lady I met in that journey. I was happy that she had made it to the dream industry. Next time, when she was shown in that TV screen, she was talking to a smart young guy. He must be his boy friend or an actor - I don't know.